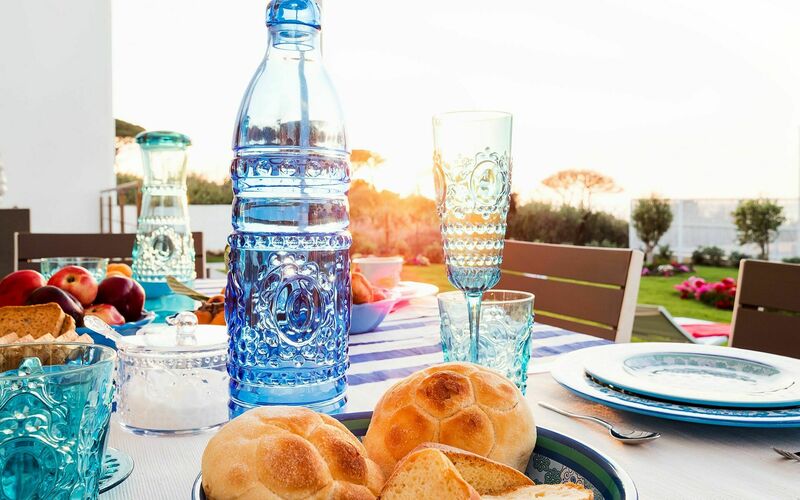 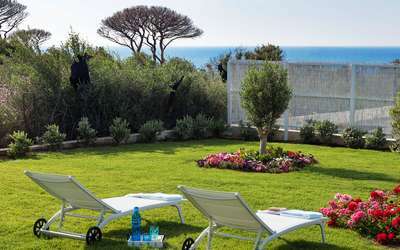 Book your vacation for the period from 05 January 2019 to 25 May 2019 and save the 10 % (minimum 7 nights). 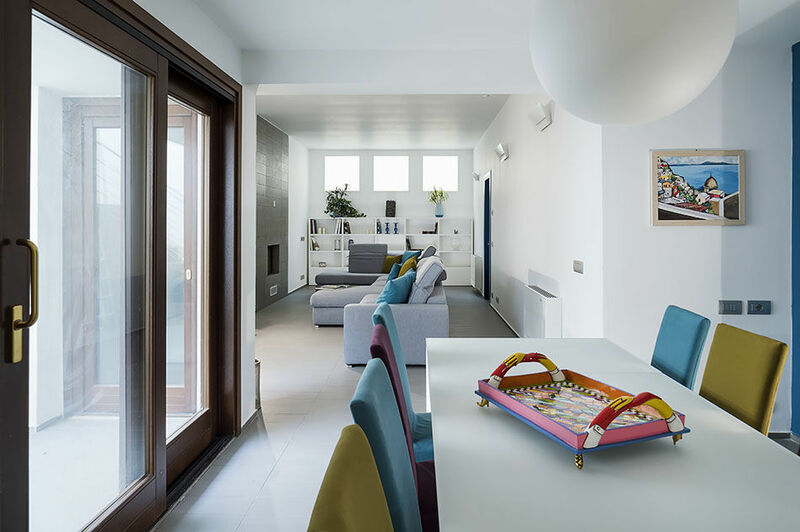 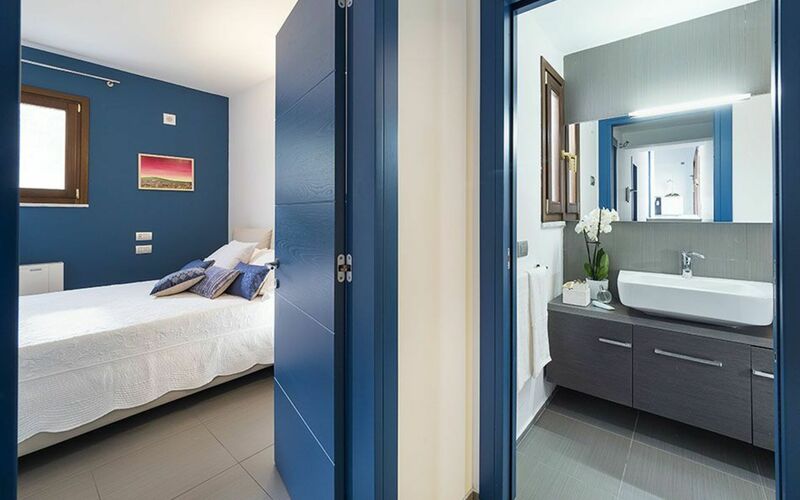 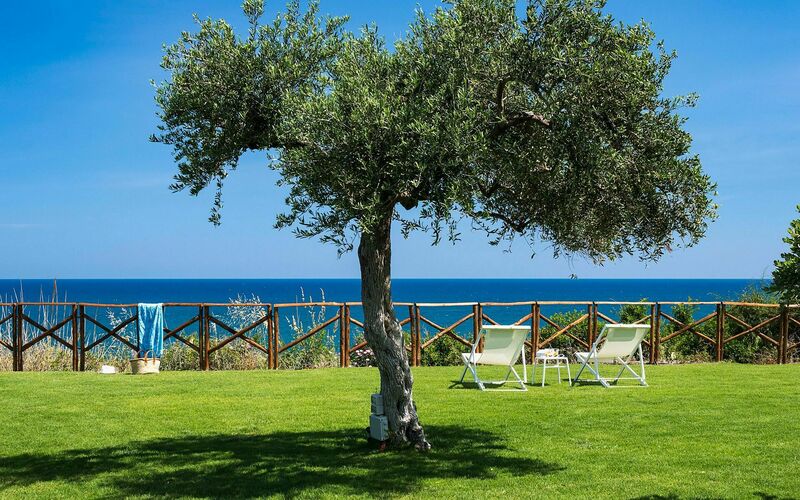 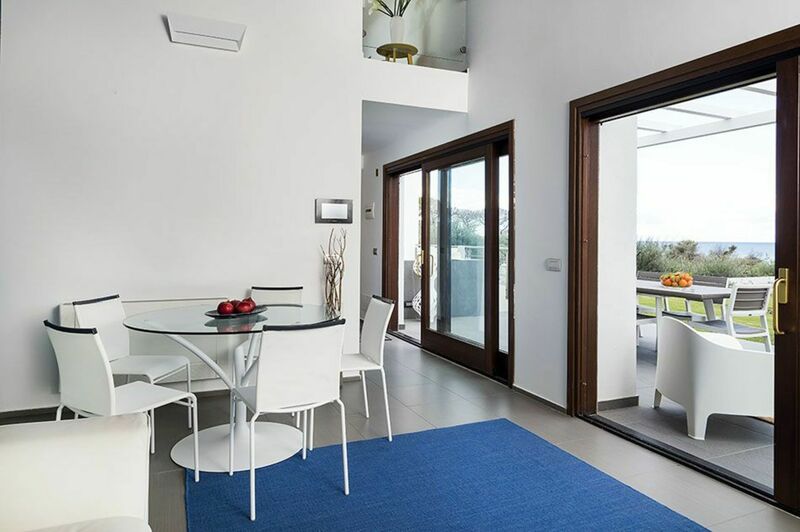 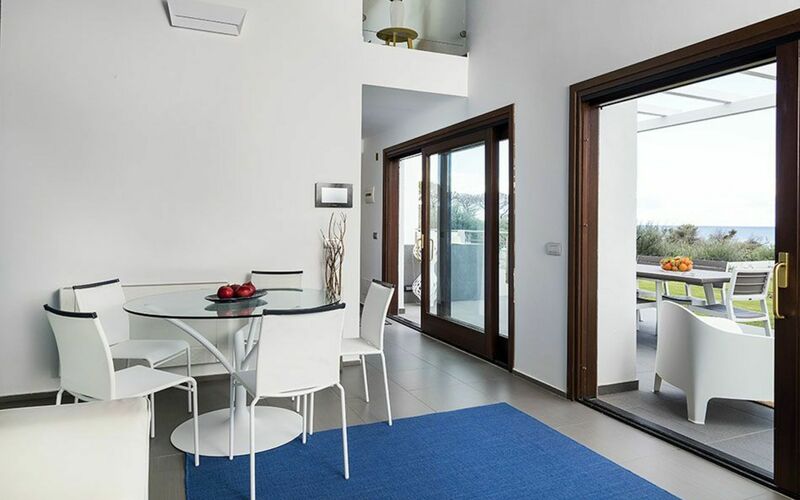 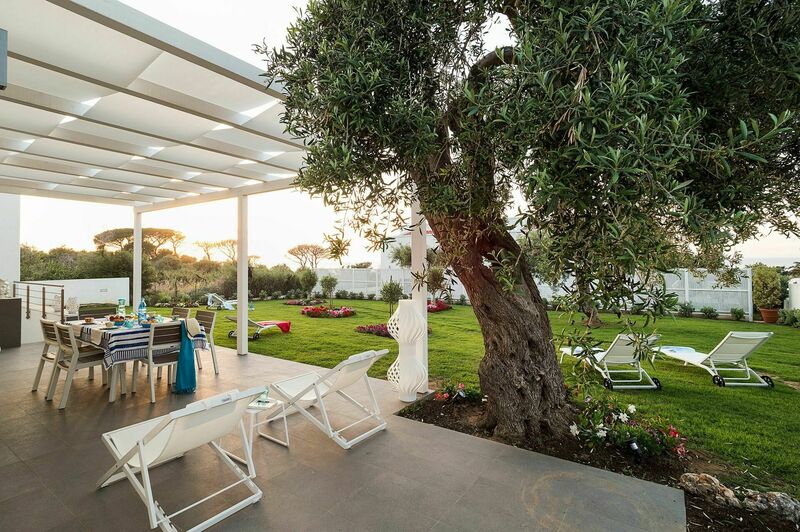 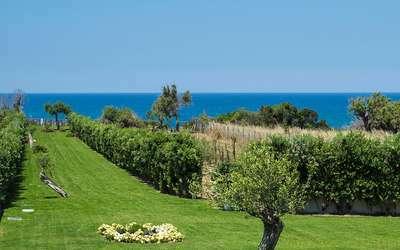 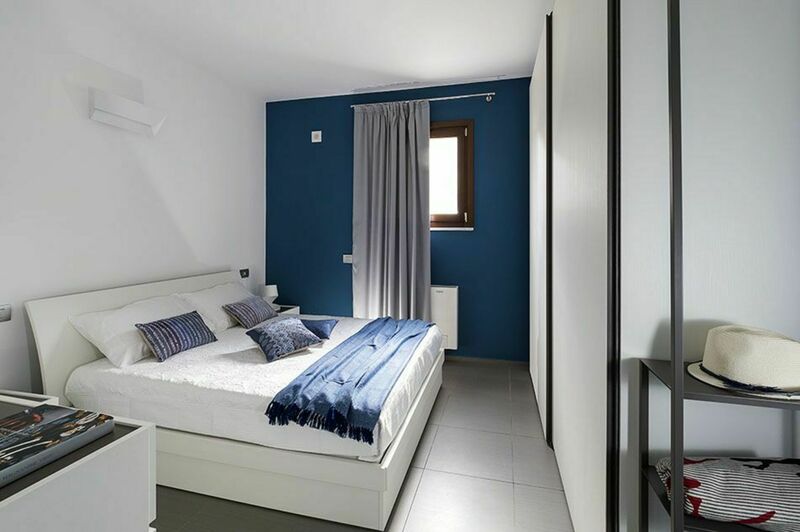 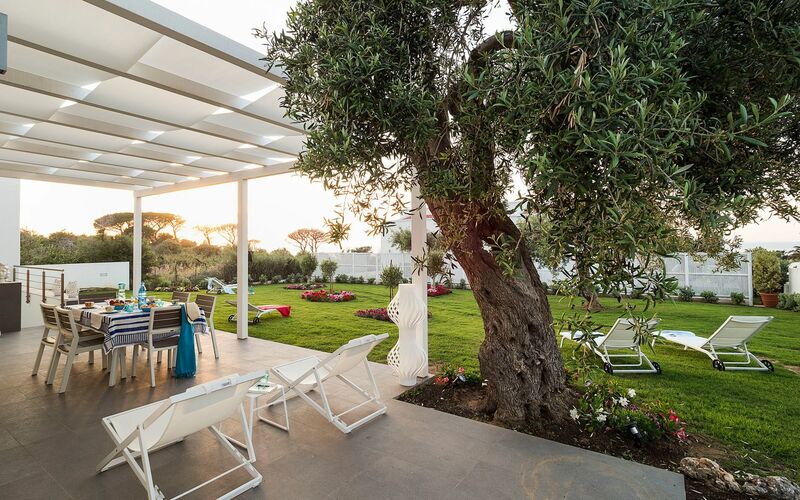 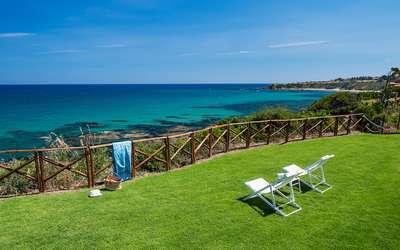 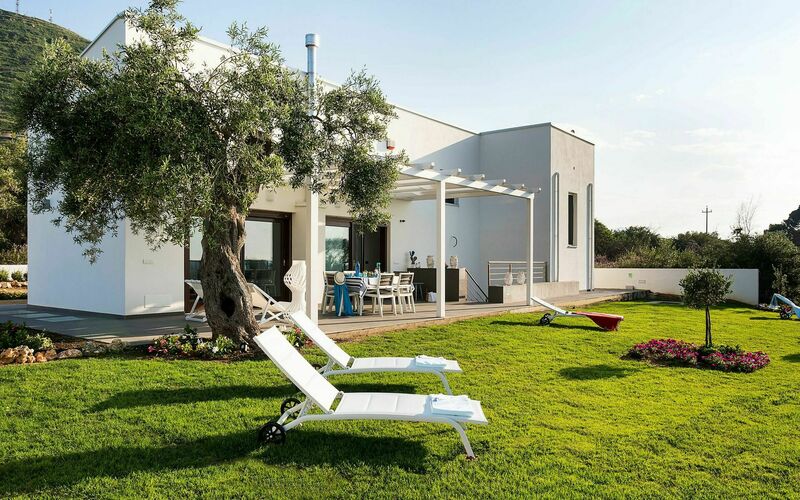 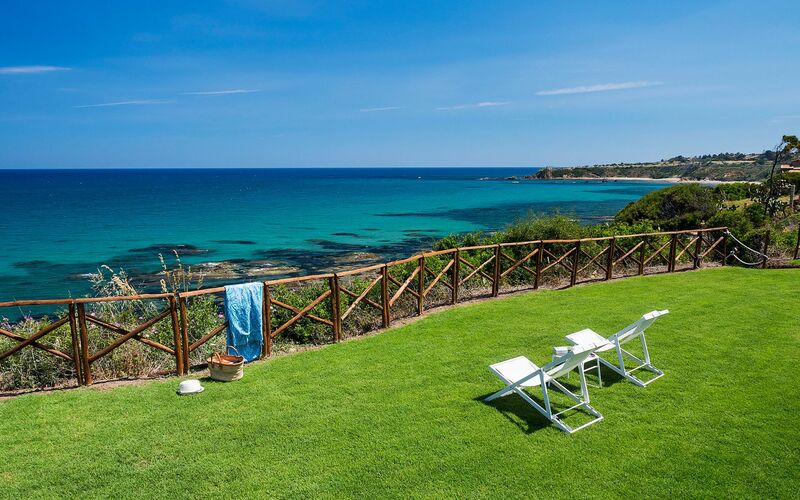 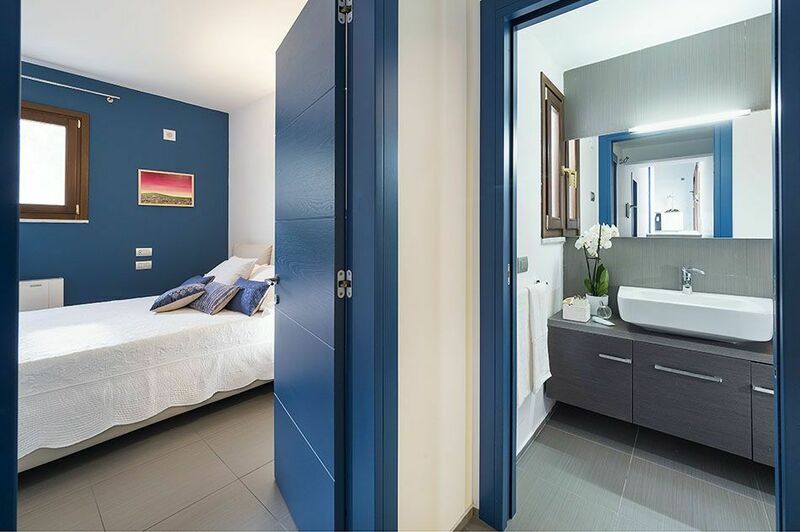 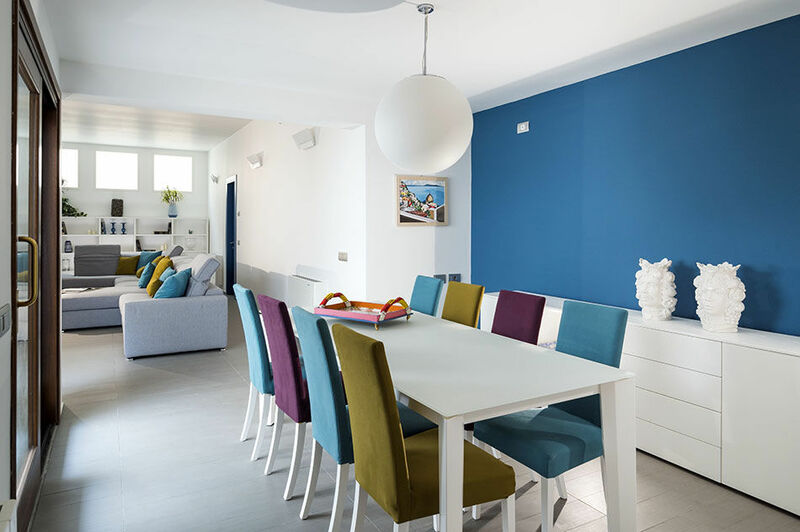 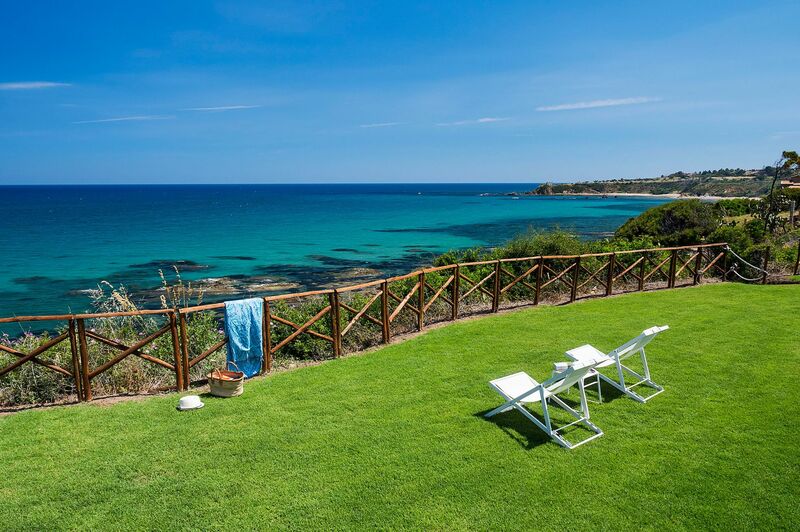 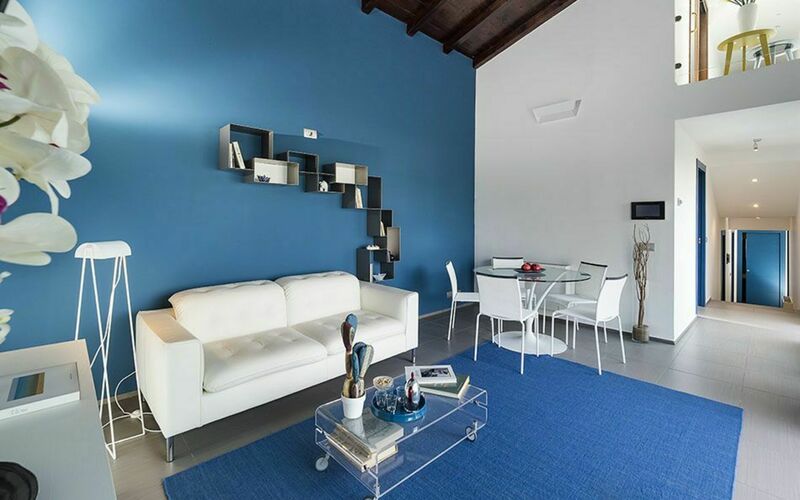 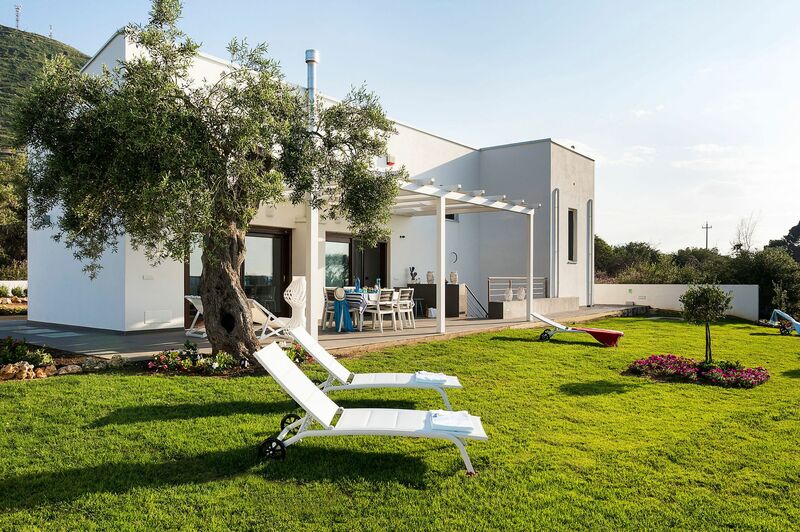 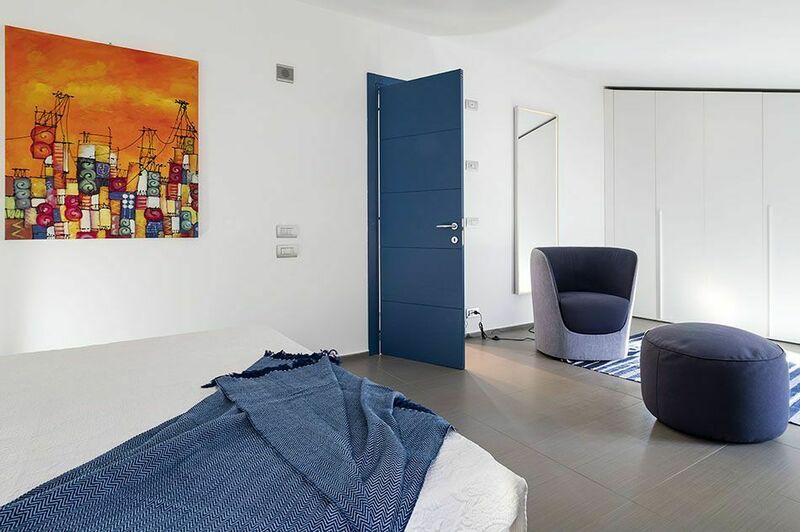 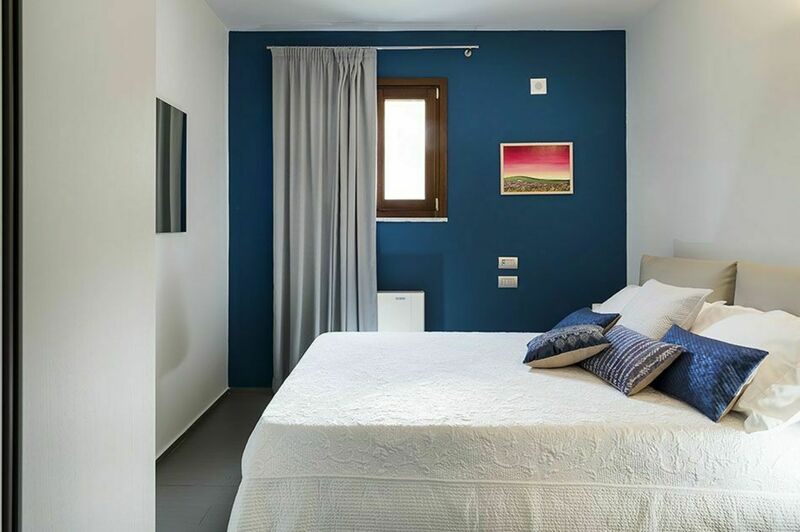 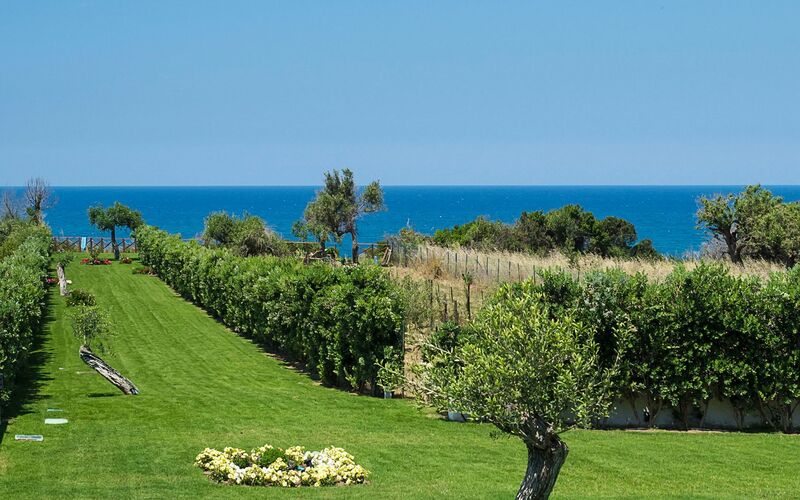 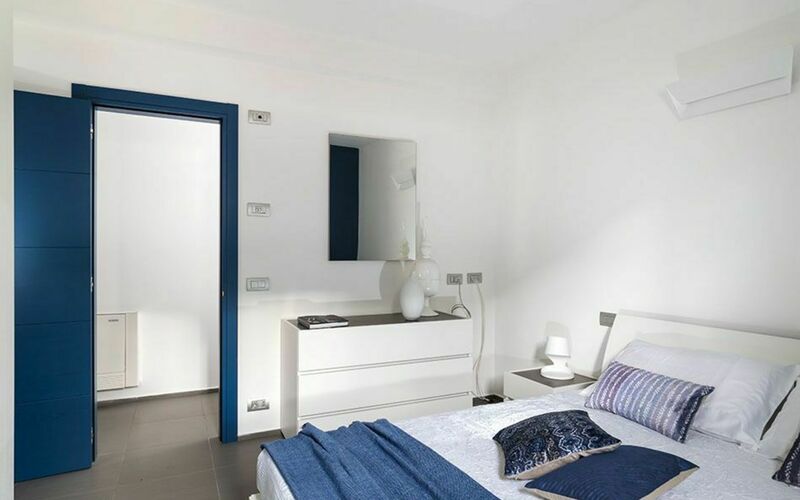 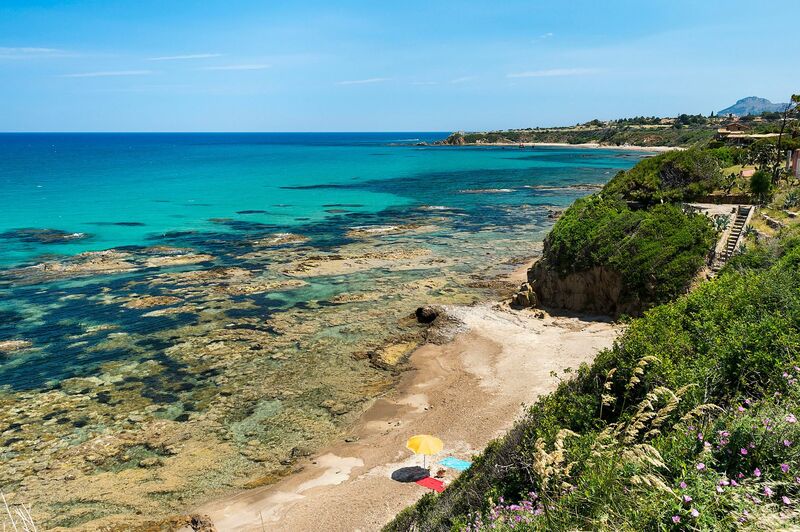 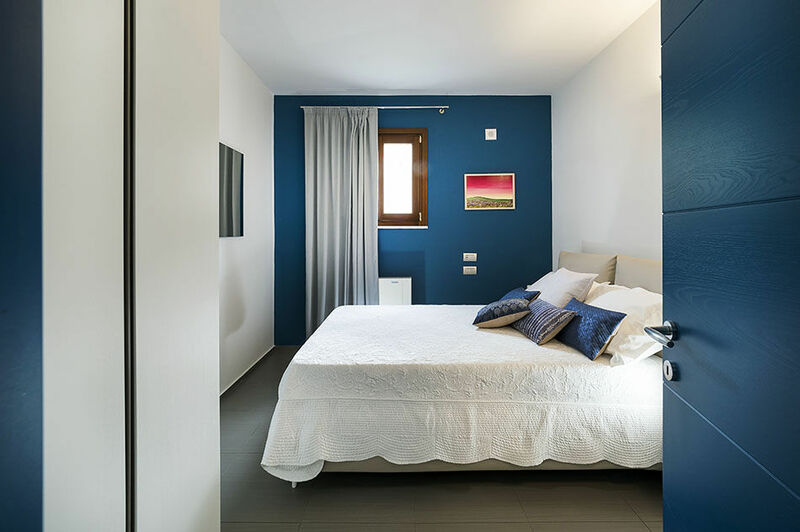 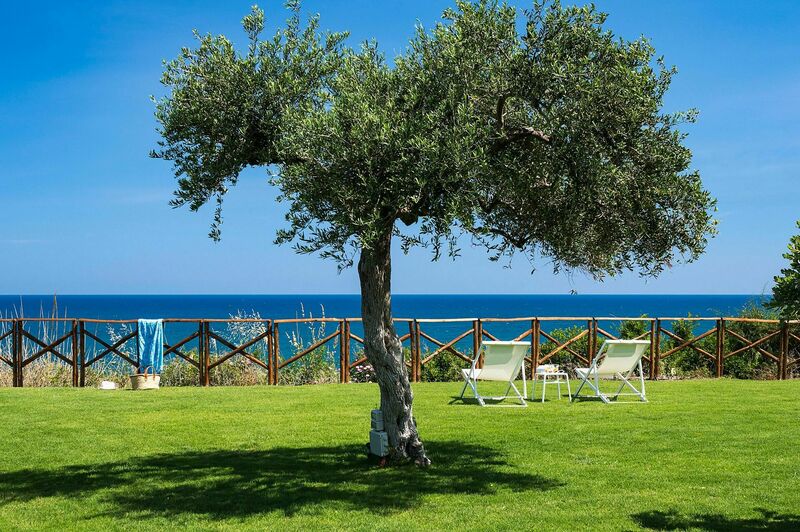 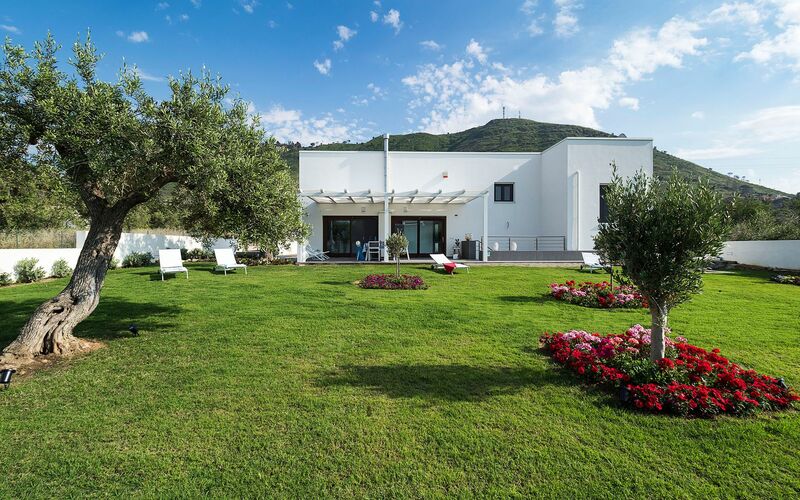 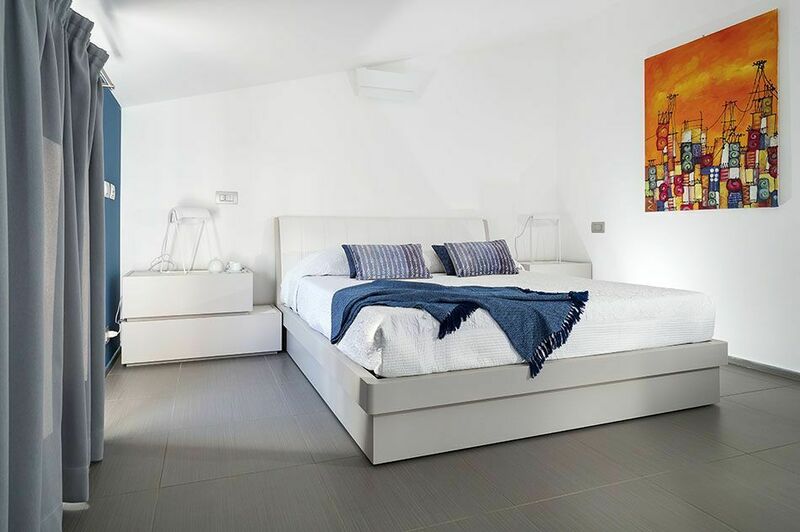 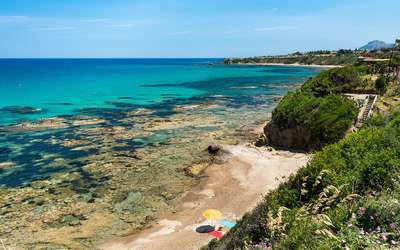 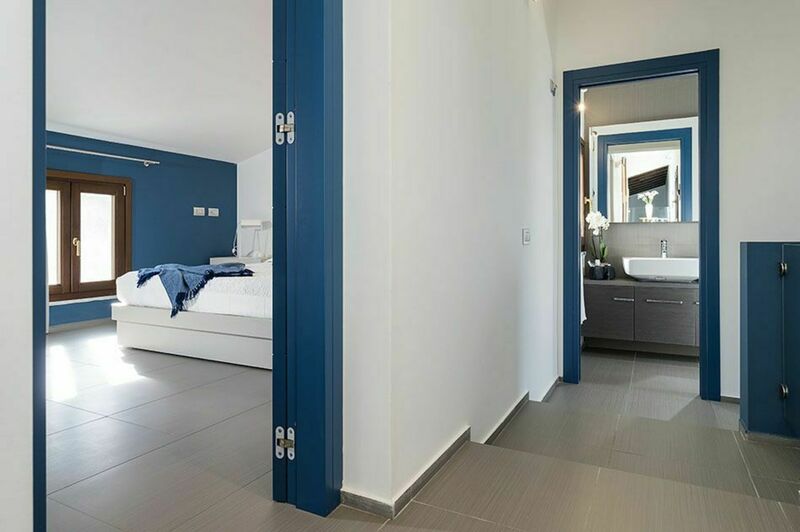 Hera is a beautiful, comfortable villa by the sea situated in a quiet, sunny location near Cefalù, a popular tourist destination on the Tyrrhenian coast of Sicily. 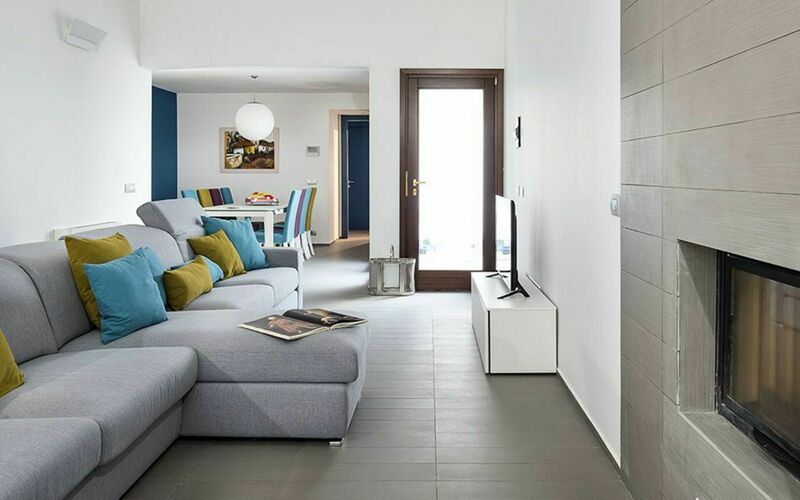 Just a few steps away from a delightful bay, the house is part of a small property that comprises a further holiday home, sharing the direct access to the sea. 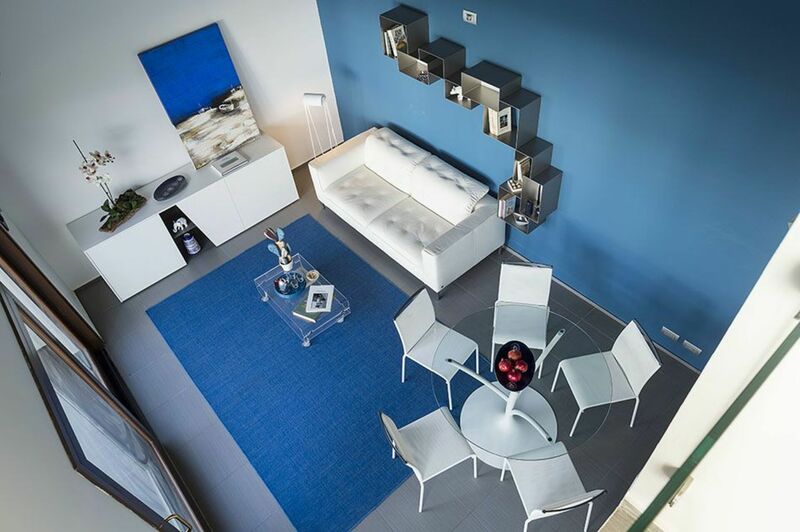 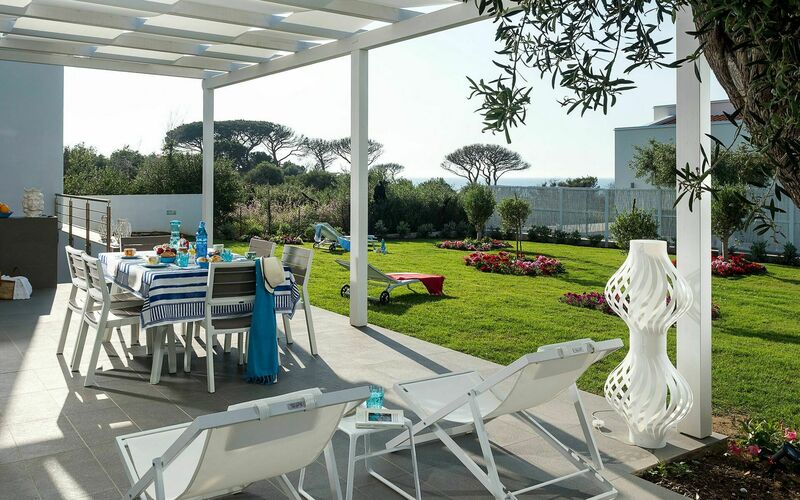 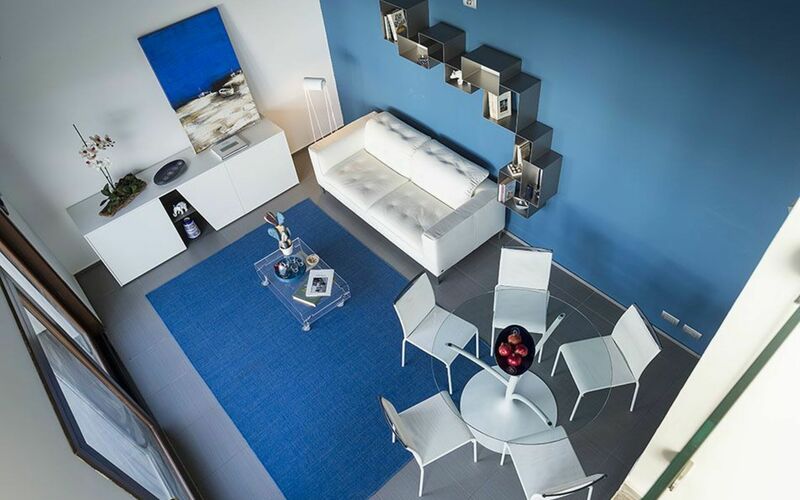 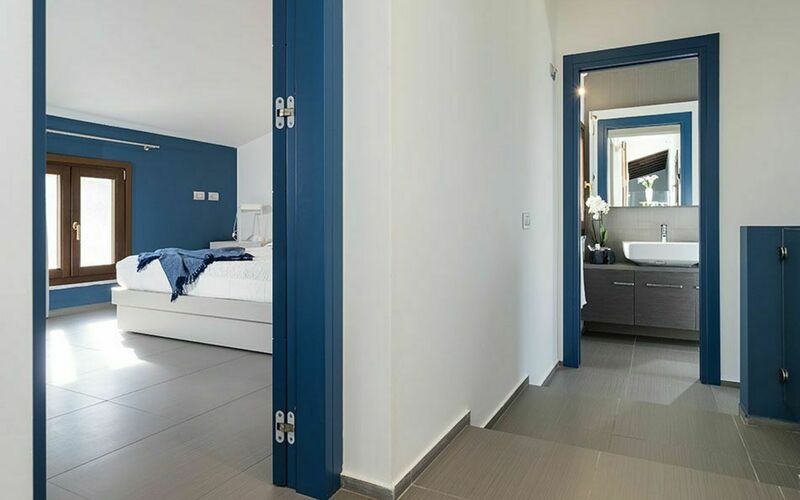 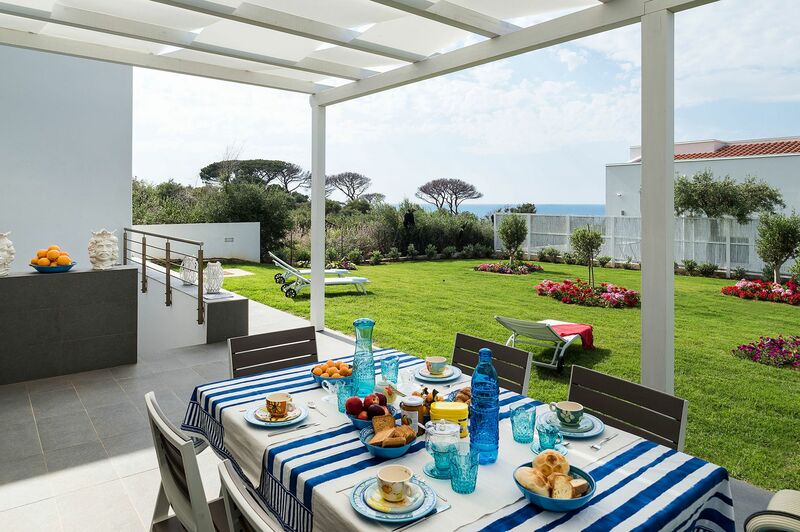 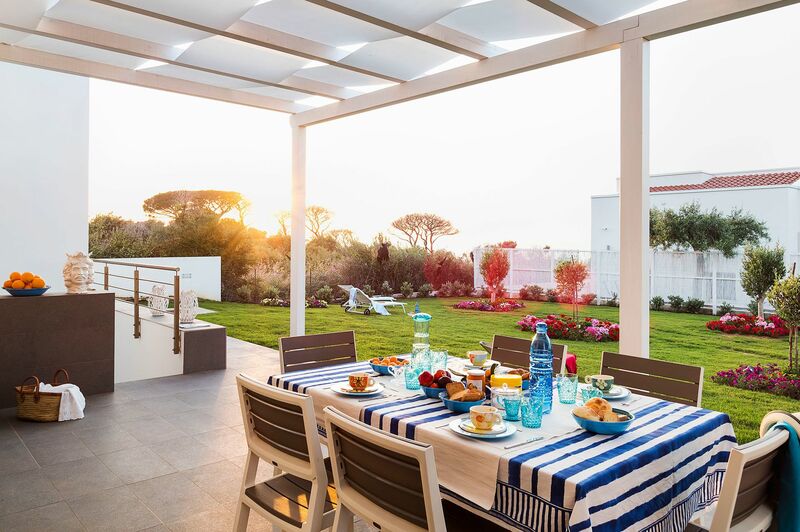 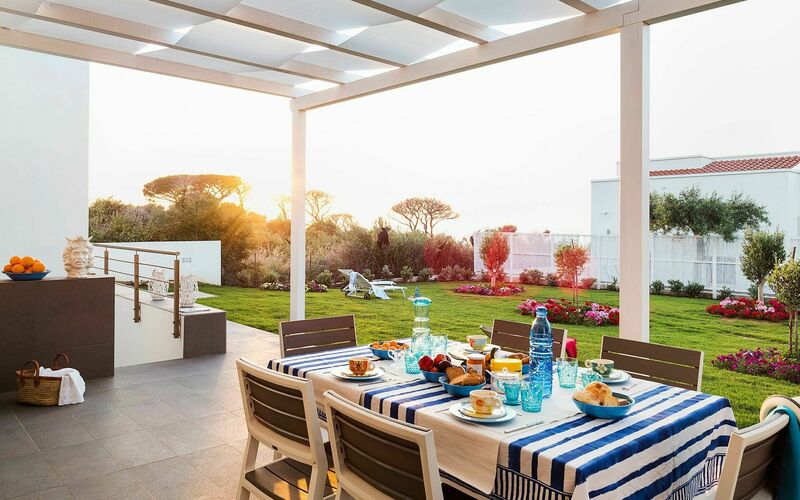 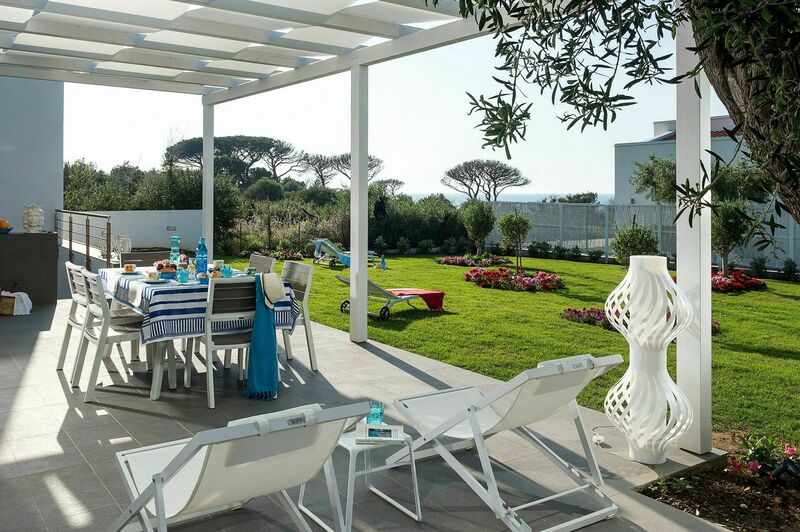 Newly built, Hera is on three levels and is surrounded by a lovely lawned garden with a large, well-equipped terrace, which is the perfect spot for outdoor living. 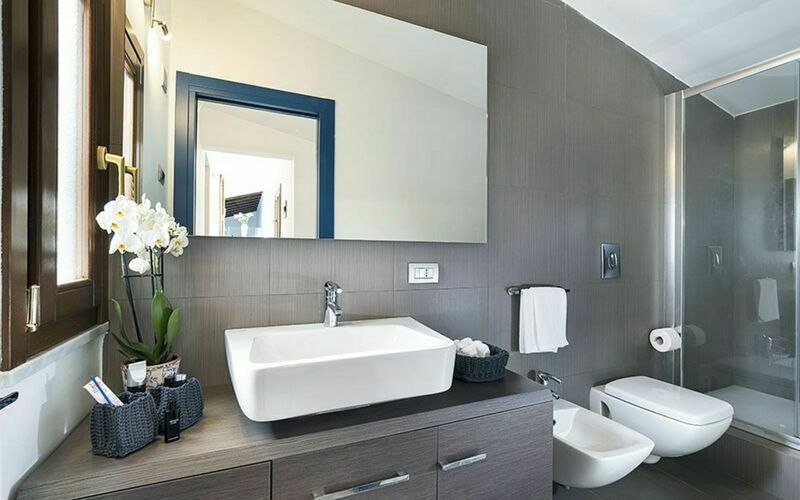 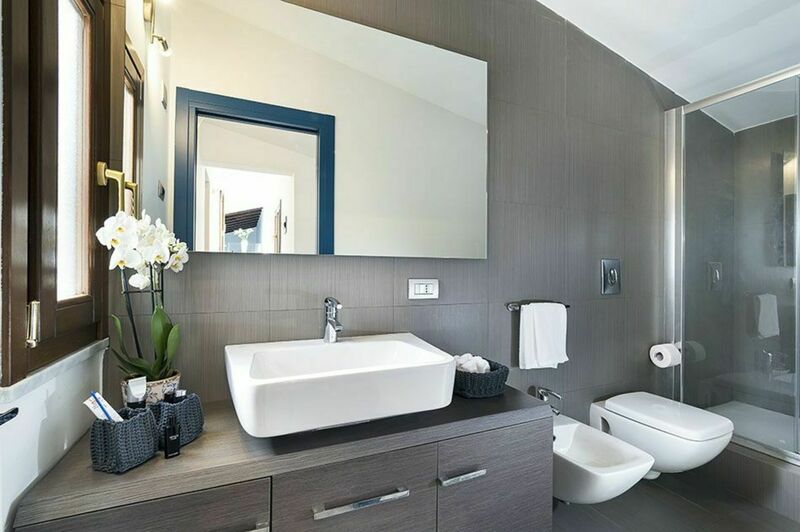 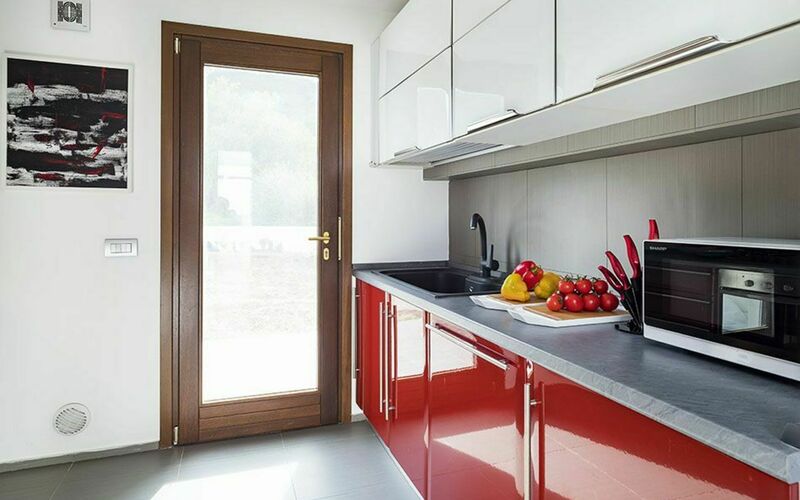 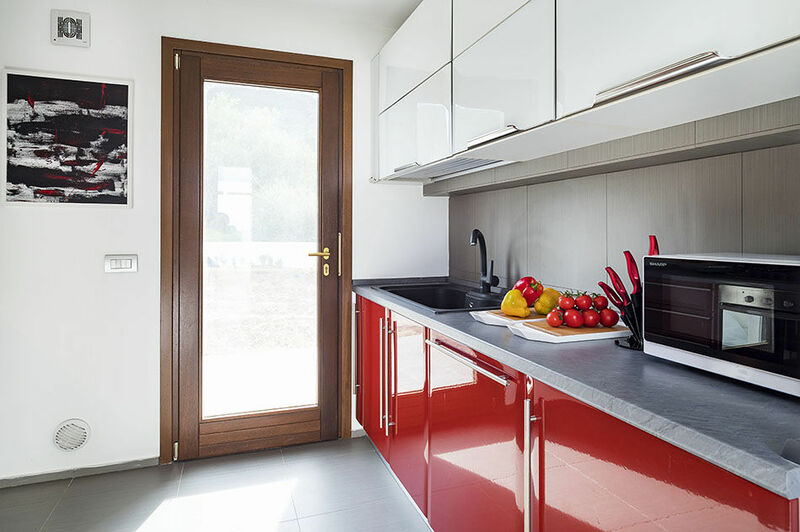 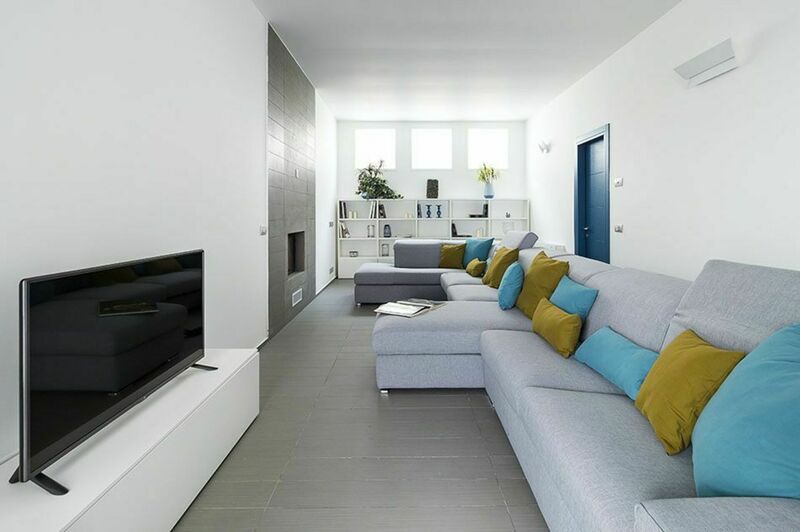 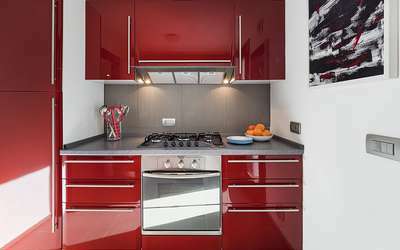 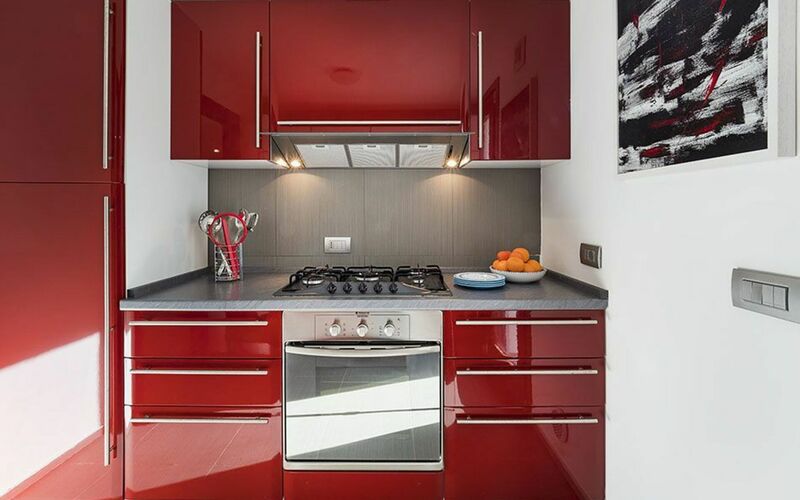 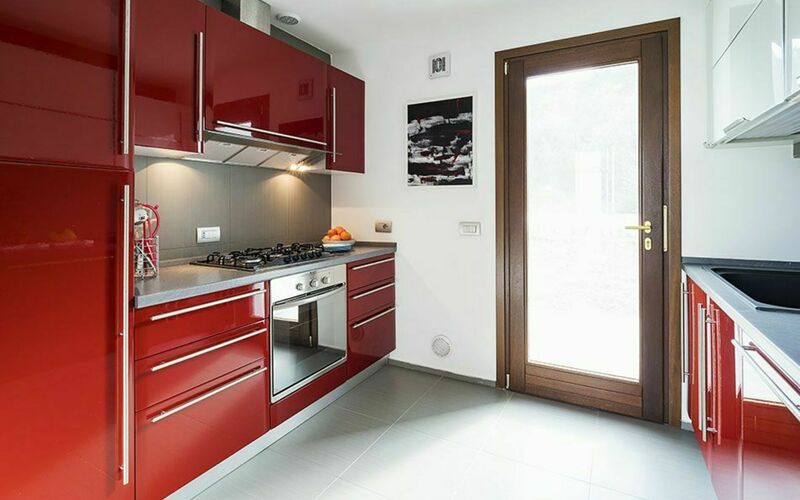 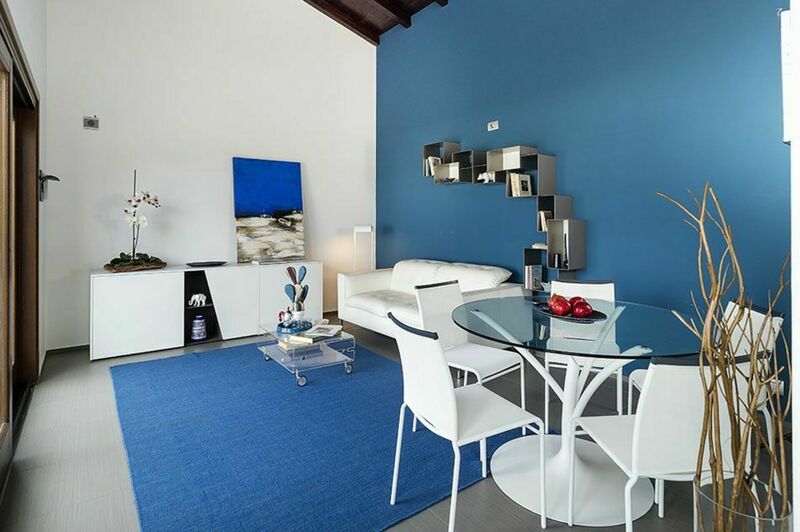 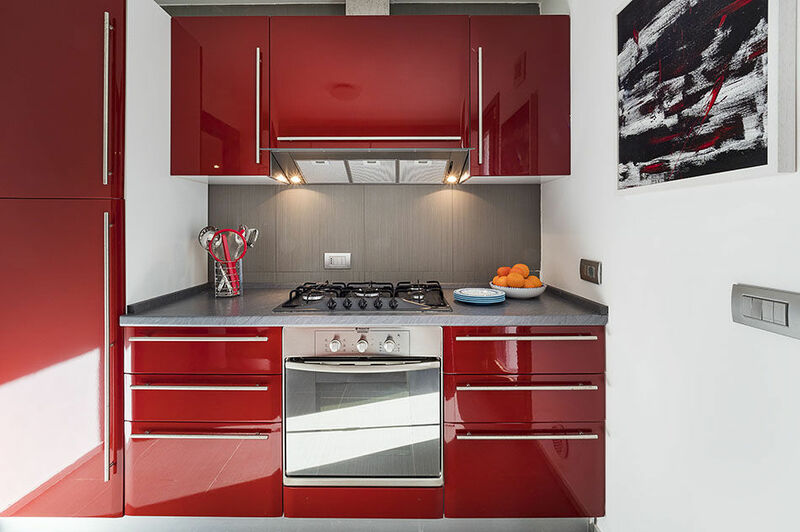 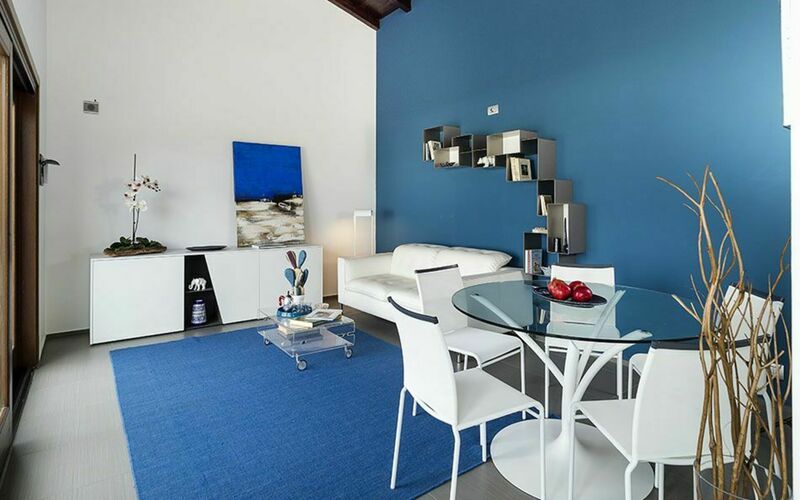 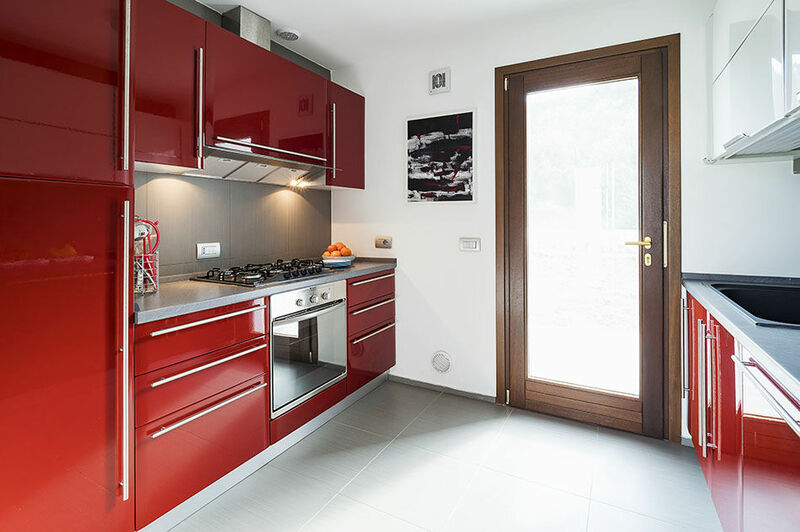 This contemporary and stylishly furnished villa features cosy air-conditioned rooms and comes with internet Wi-Fi, Sat-TV, Hi-Fi system, washing machine, dishwasher and safe. 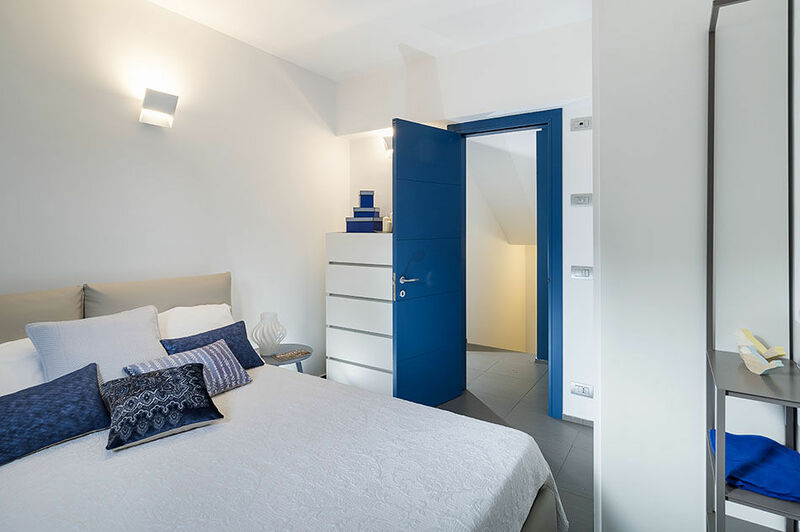 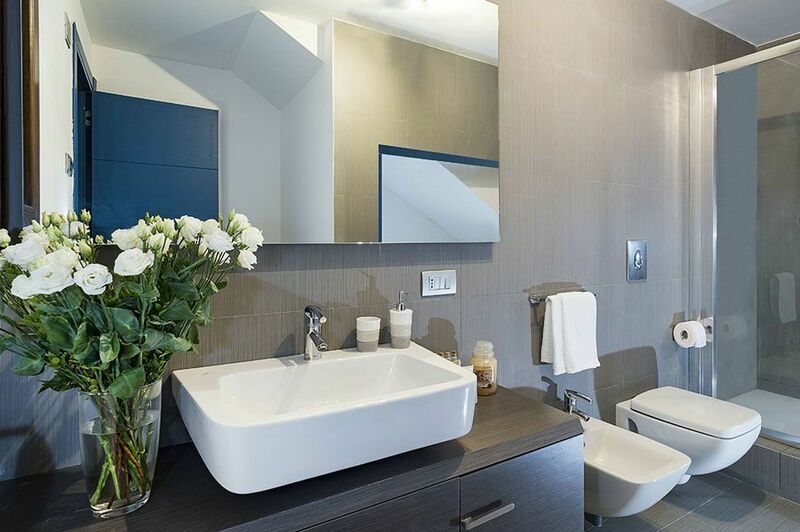 The ground floor includes a bright living room overlooking the terrace, a kitchen, one double bedroom, one bedroom with a French bed and a bathroom. The first floor houses a master bedroom with a king size bed and bathroom. 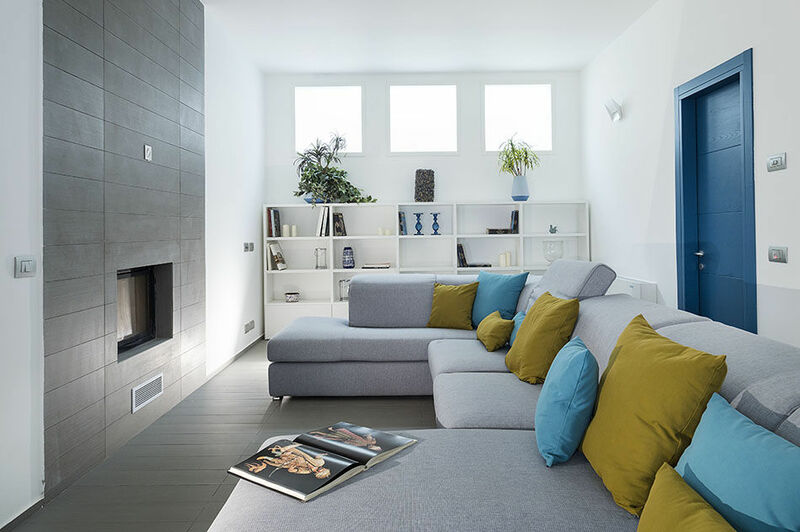 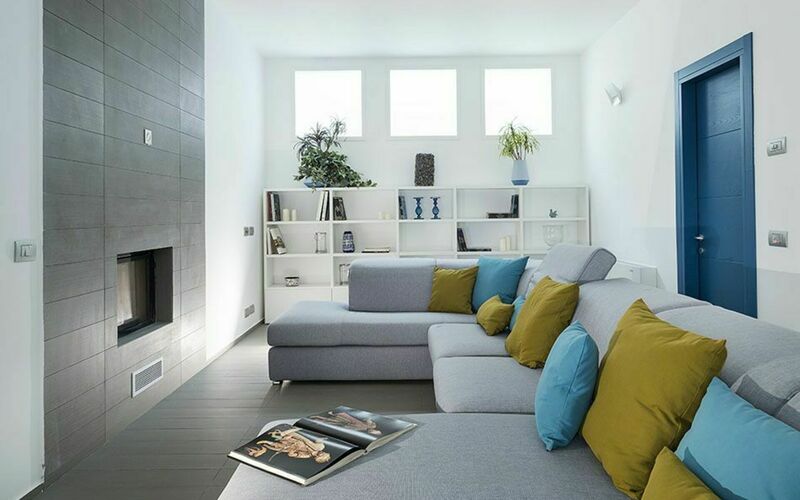 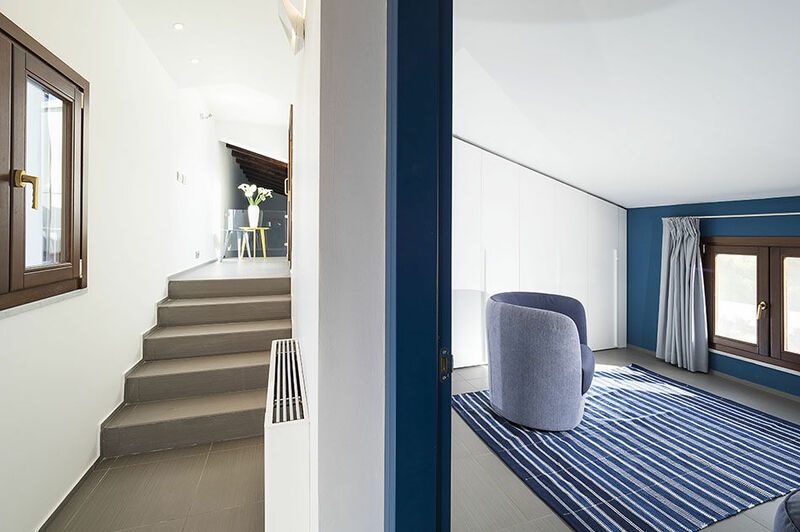 On the lower floor, also connected by an external staircase, are a further living area with fireplace, a bathroom and a laundry room. 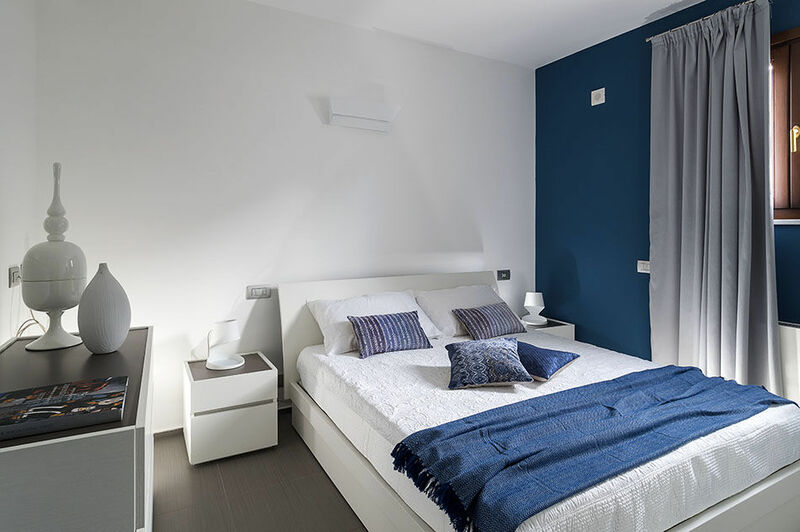 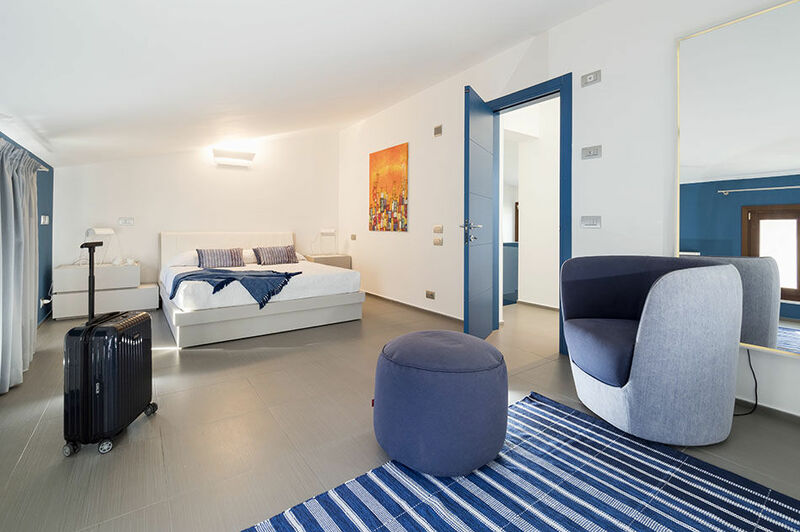 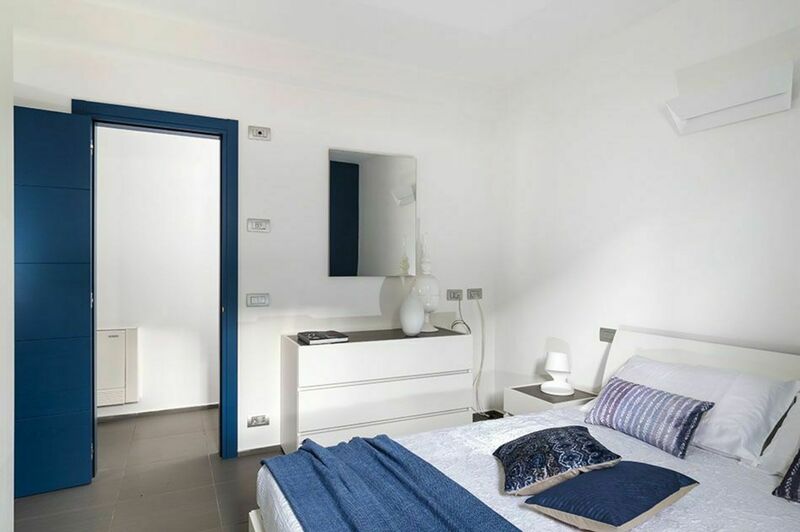 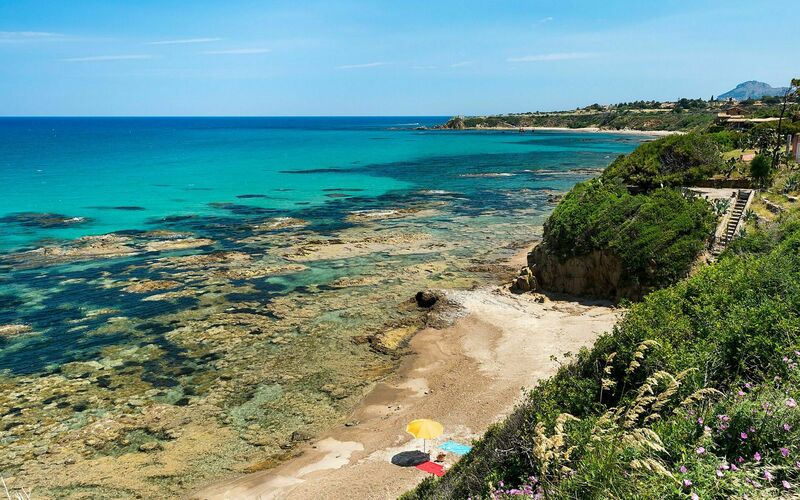 Ideal location for a relaxing beach holiday, Villa Hera is also an excellent base for exploring the beautiful surrounding area: from the close historic centre of Cefalù to the other quaint villages in the Madonie Park, to Palermo, Monreale and S. Stefano di Camastra, renowned for its tradition of ceramic making. 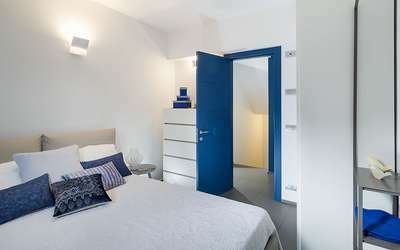 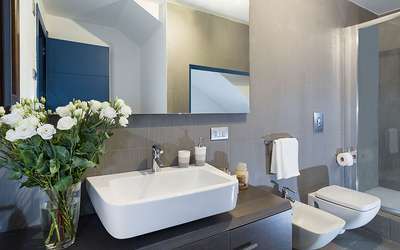 Ground Floor: living/dining room, kitchen, 1 double bedroom, 1 small double bedroom (French bed), 1 bathroom with shower. 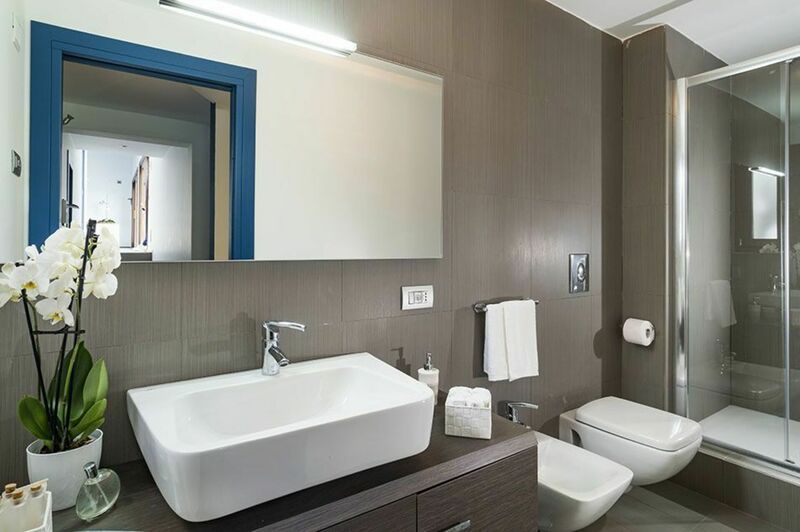 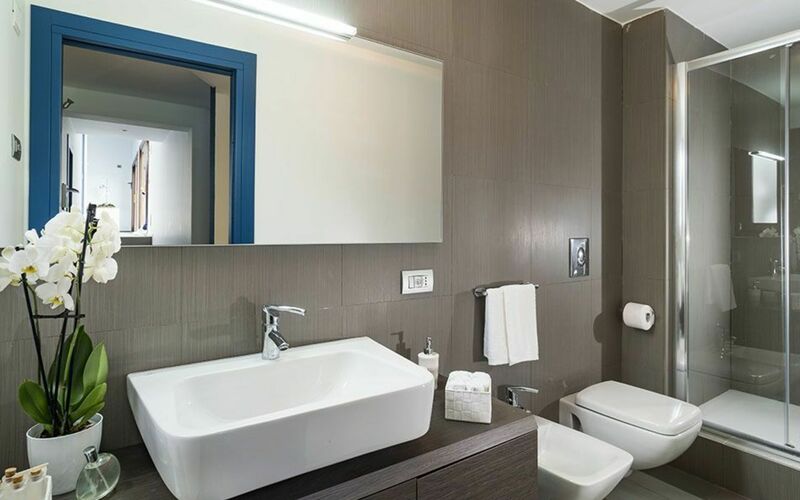 First Floor: 1 double bedroom (king size bed), 1 bathroom with shower. 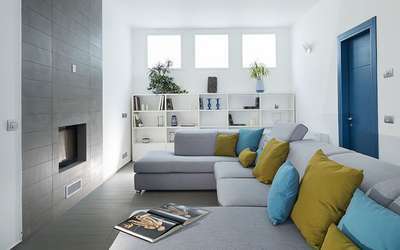 Lower Floor: lounge with fireplace, 1 bathroom with shower, laundry room. Veranda with dining area, terrace, garden. Jan 05, 2019 May 25, 2019 Any 7 € 238 n.a. May 25, 2019 Jun 22, 2019 Any 7 € 296 n.a. Jun 22, 2019 Jul 20, 2019 Any 7 € 423 n.a. Aug 31, 2019 Sep 28, 2019 Any 7 € 318 n.a. Sep 28, 2019 Jan 04, 2020 Any 7 € 265 n.a.